The 21 Ranch is a local icon in Nez Perce County, Idaho. Listed on the National Register of Historic Places, this property continues to be the object of public fascination and interest. In 1820, Joseph Shissler and John Siers purchased the first one hundred and sixty acres of what was to become the 21 Ranch. Originally a squatter’s claim on the land of the Nez Perce Tribe, or Nimi'ipuu, the property now borders the reservation’s boundaries as outlined in the 1855 Treaty. The property’s location twenty-one miles outside of Lewiston in Waha earned the ranch its namesake. In the 1860s, after gold was discovered, demands for permanent settlements in the Lewiston area increased. In 1862 the U.S. government approved “to secure Homesteads to actual Settlers on the Public Domain,” for Shissler and Siers according to documentation from the U.S. Department of the Interior, sanctioning their claim. While little documentation survived detailing the relationship between the ranch and the reservation, records reveal a dispute over water rights on Lapwai Creek wherein the Supreme Court ruled the Nez Perce Tribe had senior rights. The Waha area was a popular summer retreat in the late 19th century and many residents passed the 21 Ranch as they escaped the Lewiston heat. Owner Frank Ward built a house on the ranch in 1891, regarded as a handsome example of Victorian style architecture. A subsequent owner, Alvin McCormack, added the house to the list of National Register of Historic Places in 1977. He claimed on the application, “The 21 Ranch house is architecturally significant as one of the most pretentious ranch houses in Idaho… The house is clearly visible for many miles, making it a local landmark.” Touted as a successful agricultural operation, the local newspaper praised its model fruit farming practices and the ranch’s purchase of the most modern power sprayer in the early 1900s. The 21 Ranch’s reputation for innovative farming techniques kept it in the public eye for decades, as did the ranch’s reputation for potentially criminal activities. 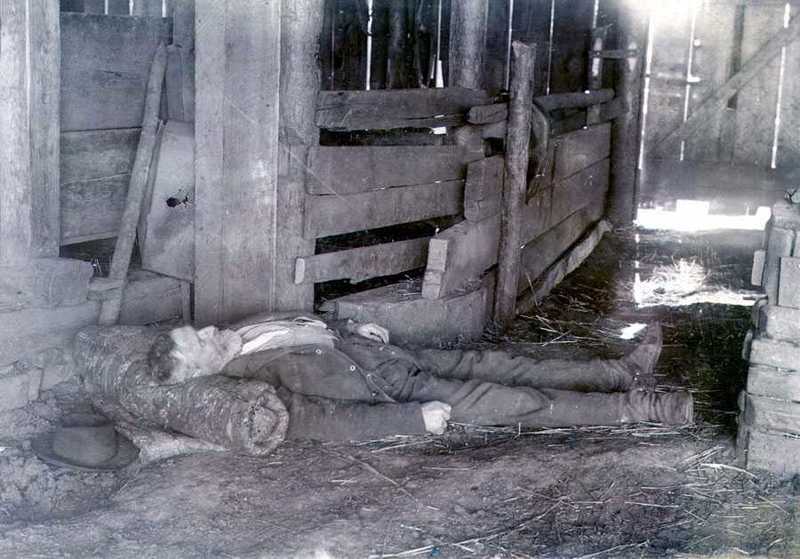 The ranch gained notoriety when a shootout occurred in front of the barn on May 19, 1895 leaving two dead. John Siers, one of the original purchasers and a veteran of the Mexican War, died in the altercation. It developed as a dispute over property with a neighbor, Mrs. Goddard. She and her son ambushed Siers and Mrs. Goddard shot him in the back. The newspapers called the murders a tragedy for Lewiston and reported shock at Mrs. Goddard’s acquittal. The ranch went on to garner even more attention over the twentieth century, with rumors of the notorious Plummer Gang’s buried treasure featuring heavily in real estate advertisements. In 1997, the ranch made headlines again when, a woman mysteriously disappeared from Lewiston on December 1, leaving behind traces of blood in her kitchen. Authorities found her the next day in a trailer on the 21 Ranch with no signs of distress. An architectural and agricultural marvel and a place of sensationalized violence, the ranch continues to attract local attention. Like so many places in the American West, the 21 Ranch demonstrates the intertwined histories of domesticating the land and participating in violent encounters, keeping this spot in the public gaze for over a century. 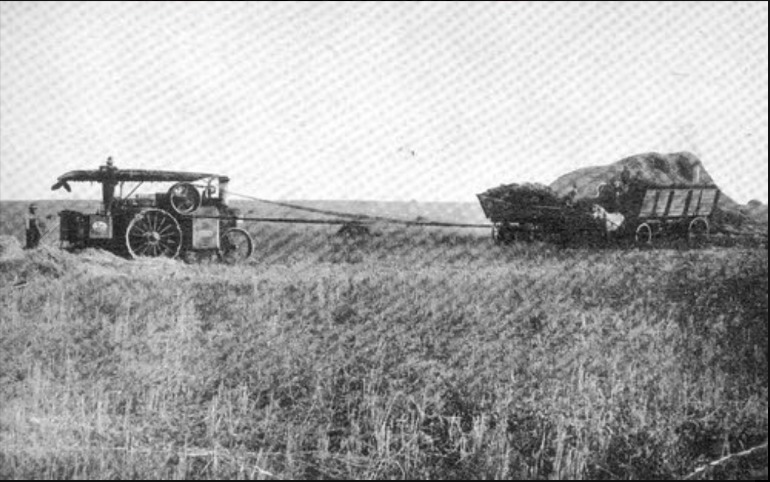 Blast from the Past: Image of a postcard circa 1920 showing a steam thresher during harvest. ~ Source: August, 2007. The Lewiston Tribune. Courtesy of Joanne McCormack, Lewiston, ID. School: The one roomed school house. ~ Source: Courtesy of Margaret McCormack Scheppke. 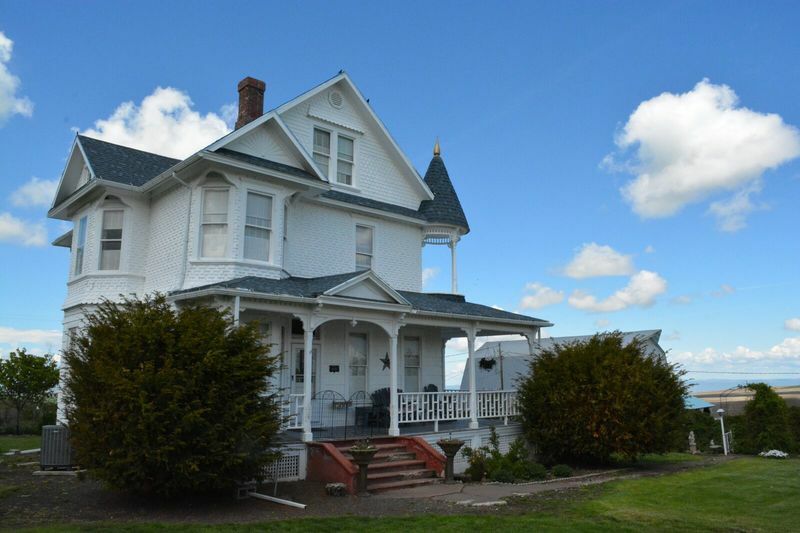 Home: A Queen Anne style house on a ranch. ~ Source: Courtesy of Margaret McCormack Scheppke. 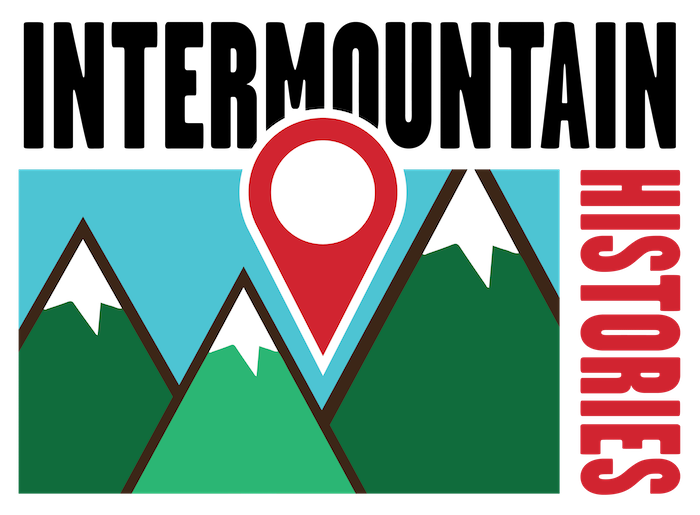 Brittany Harrington, University of Idaho, “The 21 Ranch,” Intermountain Histories, accessed April 19, 2019, https://www.intermountainhistories.org/items/show/142. Albright, Syd. The Coeur d’Alene Press. “Henry Plummer’s Gang of Outlaws Born to be Bad.” 20 September, 2015. Auction Files Archives, Beckort Auctions, IN. 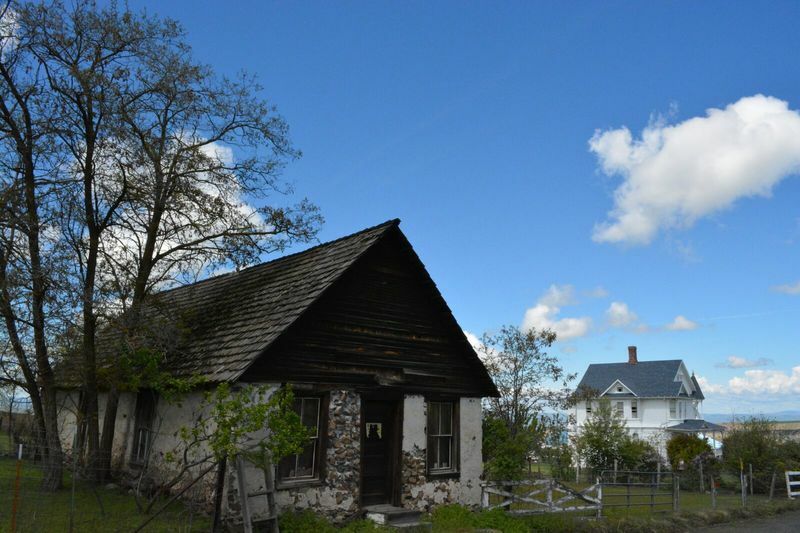 Own a Piece of Western History in Idaho. “Past Days of the Tammany-Waha Area,” Meloy. Area Nez Perce County Historical Society. Bailey, Julie. The Lewiston Tribune. “Old House Saw a lot of Traffic, and Some Action of its Own.” 25 February, 1990. Branting, Steven D. Hidden History of Lewiston, Idaho. Charleston: History Press, 2014. Branting, Steven D. Lost Lewiston, Idaho: Elegies and Bygone Places. Charleston: History Press, 2014. Branting, Steven D. Wicked Lewiston: A Sinful Century. Charleston: History Press, 2015. General Land Office Records. Shissler, Joseph. Homestead Patent. BLM Serial IDIDAA 017561. May 20, 1862. General Land Office Records. Shissler, Joseph. Sale-Cash Entry. BLM Serial IDIDAA 017556. April 24, 1820. General Land Office Records. Siers, John. Homestead Patent. BLM Serial IDIDAA 017560. May 20, 1862. General Land Office Records. Siers, John. Sale-Cash Entry. BLM Serial IDIDAA 017555. April 24, 1820. Idaho Historical Society Archives. “National Register of Historic Places Inventory- Nomination Form, 1978.” United States Department of the Interior National Park Service. Kernan, Megan. “At the Confluence of Law and History: An Investigation of Water Rights in Nez Perce Country.” Master’s thesis, University of Idaho, 2014. Lewiston Evening Teller. “Finds ‘21’ Ranch a Model Fruit Farm.” 13 June, 1906. Lewiston Evening Teller. “Power Sprayer for 21 Ranch.” 13 April, 1907. Nez Perce County Historical Society and Museum. Lapwai, Idaho. 2015. https://www.nezpercecountymuseum.com/lapwai-idaho. Nez Perce County Historical Society and Museum. Lewiston, Idaho. 2015. https://www.nezpercecountymuseum.com/lewiston-idaho. Nez Perce County Historical Society and Museum. Waha, Idaho. 2015. https://www.nezpercecountymuseum.com/waha-idaho. San Francisco Call. “The Notorious Idaho Murder.” 16 January, 1896. Shane Watkin (local musician) in discussion with the author, November 2017. Steven Branting (widely published and awarded historian) in discussion with the author, November 2017. Tuchscherer, Tara. The Lewiston Tribune. "Missing woman found alive; Shannon Lynn Elvin in good condition after holing up in trailer," 2 December, 1997. The Lewiston Tribune. “Woman missing in 'suspicious' circumstances,” 1 December, 1997.